Have you heard of ABC Life Literacy Canada? It is a is a non-profit organization that inspires Canadians to increase their literacy skills. Family Literacy Day is an annual event held on January 27th encouraging families to take fifteen minutes of fun per day to learn together. Looking for some 15 minutes of fun ideas? Read! Read to your kids and with them – over and over again! Yes – you can even read them their little homework readers with 3 and 4 word repetitive sentences on each page (and yes, they will memorize them – it’s ok – it’s a small piece of a larger puzzle) but please, make it entertaining! You’re growing a future reader here! There’s got to be something in it for them! Have you ever heard Robert Munsch read or tell a story? It’s an experience. I draw inspiration from him every time I read with kids! 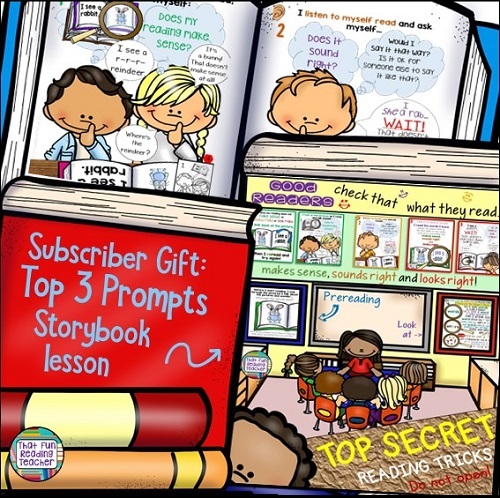 Here’s a link to a popular freebie I created for the parents of my Reading Recovery students explaining how to make reading fun with kids! Play! Fun make-believe play, not-too-hard board games, cooperative games that involve listening and speaking (and/or signing) with others – opportunities to practice and learn vocabulary, gain confidence for social language experiences abound when kids are enjoying themselves. Sing! Popular music, nursery rhymes, TV show theme songs, or google the decade you want to remember and have a laugh at the songs we grew up singing while at camp or skipping at recess. My niece was singing along with Taylor Swift as a tiny toddler. Singing and listening to someone sing further exposes kids to how words are phrased together and to the rhythm of the language. Watching someone gives the context of facial expressions and gestures. Another piece of that puzzle! I recently read Improving Family Literacy by Sarah Jessop on CanadianFamily.ca. She writes about Robert Munsch, Canada Literacy Day’s Honorary Chair. This informative and touching article details how Family Literacy Day became an annual event, how to get involved with Family Literacy Day activities near you, or to find tips to improve literacy (adults). What’s your favorite way to learn with your family? Just did, Desiree! Paper Bag Princess, but Something Good and We Share Everything are right up there, too! Oh, and Smelly Socks, and a whole bunch more!